The Post Acute Care (PAC) Program at Northeast Health provides short-term support services to assist with your recovery at home in the initial few weeks after discharge and help you return to your usual lifestyle as soon as possible. purchase short-term, community-based services in response to your assessed needs. Community Nursing – Visits from qualified nurses provide care at home, such as wound care, assistance with medication and other nursing related care. Personal Care – Assistance with personal care tasks such as showering, bathing and dressing. Assistance with shopping and/or attending medical or health-related appointments can also be provided. Home Care Services – Short-term home care services may be supplied to support your recuperation within post-operative or other limitations. This is a limited service for the client’s main living and care areas. Respite Care Services – Qualified Personal Carers to relieve a caregiver for short periods whilst they are out of the home. Transport – Transport to medical or health-related appointments, where other arrangements cannot be made. Allied Health Services – Arrangements for services such as occupational therapy or physiotherapy where subsidised services cannot be utilised. 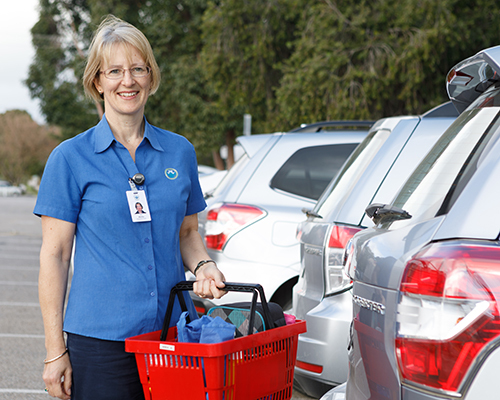 Access to our Post Acute Care program is subject to availability and based on priority. Cost: Our Post Acute Care program is free of charge, however; there may be a charge for consumables such as wound dressings. If you are aged 65 years or over and require ongoing services, you will be referred to My Aged Care who will undertake an assessment in your home so you can receive government subsidised services.